What’s your spending personality? The One Rand Family take the test. Emotions affect everything we do. Our spending is no exception. Are emotions driving the One Rand Family’s budget? 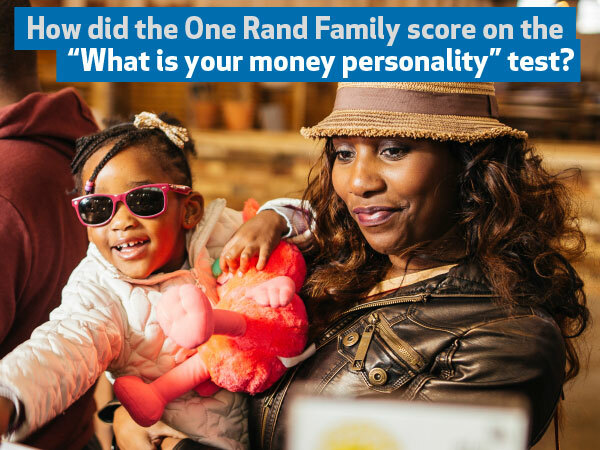 Each family member completed the “What’s your money personality test” to see how their emotions influence their financial behaviour. “There are seven types of personalities when it comes to money and emotions: reactive, conformer, aspirant, individuator, disciplined, experienced and master,” international human behavioural specialist and author Mavis Mazhura say. So where do the members of the One Rand Family fit in? Aspirant personalities revel in luxury and status symbols that elevate their social standing. They often fall in love with status possessions and sacrifice long-term savings and investment opportunities to spend for today. Individuators act to please themselves and achieve their financial goals, rather than look for validation from others. They’re determined to achieve them and willing to do what it takes. Here are five tips to help you to manage emotions, provided by Jamey Lipschitz, wealth manager at Sanlam Private Wealth. We all respond differently to money and the things we want in life. Understanding how and why you spend is the first step in understanding how you can save. The retail environment is designed to influence emotions and increase spending. Make a list before you go shopping and stick to it. The need to feel and look good can result in spending on overpriced items such as cars. Drive the least expensive car your ego can afford. Following a diet or going to the gym requires dedication, commitment and often patience. Apply the same discipline to your finances and you’ll be pleased with the results. As emotions influence your relationship with money, setting both short- and long-term financial goals helps you to focus. For example, make a point of paying off your credit card debts as soon as possible. Design a budget that allows you to live comfortably yet within your means. And while it’s important to reward yourself, decide what will ensure your best financial future rather than compete with others to have the latest status symbols. The One Rand Family’s story is told this month in four weekly episodes on e.tv (Monday to Thursday at 5.25 pm) and in web-episodes every Monday. To help you to identify the emotions behind your money behaviour and learn the keys to a successful relationship with money, take the “What’s your money personality test”. For more info go to www.onerandfamily.co.za.